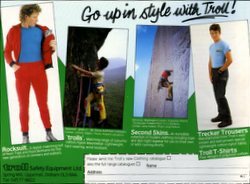 Mick Tighe, founder of the Scottish Mountain Heritage Collection, reckons that Troll Rock Bottoms were the best outdoor/recreational pants ever made and wishes he'd bought 10 pairs just before they went out of production. Unfortunately, the pair we have here belonged to his wife and are too samll for him! 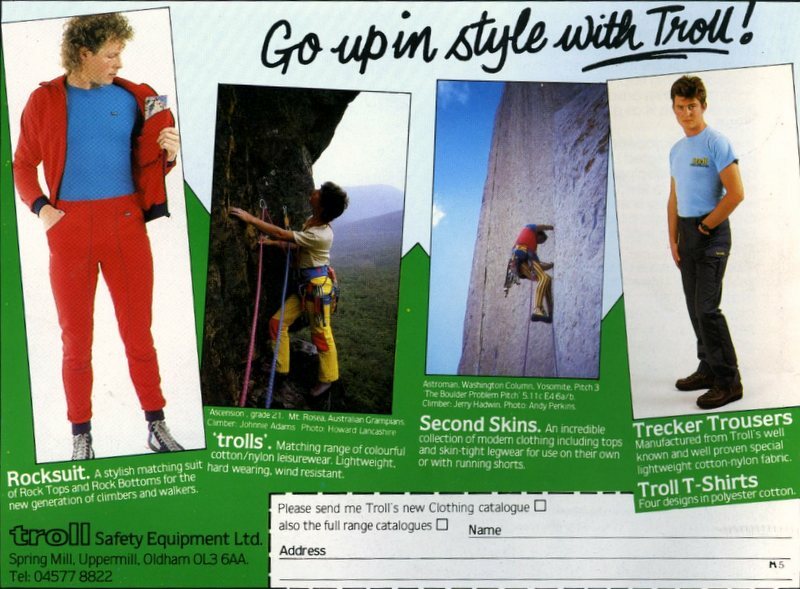 Back in the 1980's, Troll had a great range of clothing as you can see from the advert opposite. 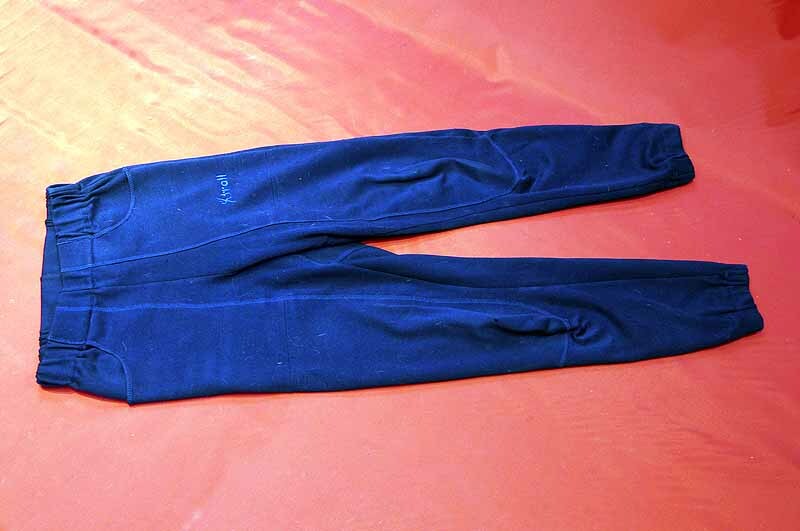 They are still going strong in 2012, unfortunately without their iconic rock bottoms and rather worryingly "in the hands of a(new) dedicated management team". Many years, and a world away from when, in 1965, Tony Howard climbed the Troll Wall in Norway and called his business after it!